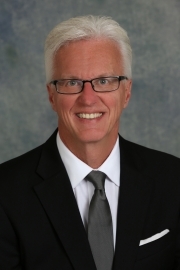 Dr. Greg Campbell is recognized as an expert on integrating CAD/CAM dentistry into offices and is highly sought out by industry leaders to lecture about this technology. He is highly entertaining, and has a great understanding of all the digital impression systems currently on the market. He trains other dentists on how to use this great technology and is a certified Basic Trainer and Advanced Trainer for CEREC and started the CEREC in-office training program for Patterson Dental over four years ago. Recently, Dr. Campbell was honored to consult and train with the United States Army on incorporating CAD/CAM dentistry into their operations. Victor Castro, CDT owns Studio-280 in Houston, Texas. By focusing on the patient and gaining the trust of local doctors with the quality of his work, 100% of his business is local. His working relationships have given him the ability to specialize in full mouth rehabilitation, as well as implant and cosmetic dentistry. Building confidence in your work will lead to greater satisfaction for you, your doctors and your patients, while increasing profitability. While earning his Doctor of Dental Surgery degree at USC, Dr. Field won many awards and scholarships while being elected to the highest national leadership position in dental education. 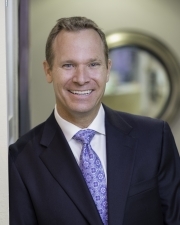 Dr. Field is a Diplomate of the American Board of Oral Implantology/Implant Dentistry. The ABOI/ID Diplomate designation symbolizes the highest level of competence in implant dentistry. 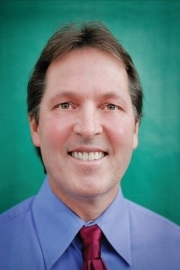 Dr. Peter Hagen is a 16-year veteran of CEREC technology, and a certified advanced trainer for Patterson Dental. His straightforward approach to teaching CAD/CAM dentistry has made him a soughtafter instructor for the CEREC user for the past 11 years. Dr. Hagen has maintained a multi-doctor CEREC-driven private practice in Southern California for 30 years. He was one of the first users of CEREC in Orange County, and one of the original members of the CEREC training team based in Los Angeles. Kent K. Hironaka DDS graduated from the UCLA School of Dentistry and a General Practice Residency at Saint Francis Medical Center. He has completed the CAD/CAM and 3D curriculum at the Spear Scottsdale Center for Dentistry and currently is mentor/guest faculty at the prestigious center. Dr. Hironaka has participated as a beta/field tester for several Digital Impression, CAD/CAM, and dental implant manufacturers. He has been honored to speak nationally and internationally on Digital Impression implementation, CAD/CAM proficiency, and restorative driven implant planning/placement. Dr. Hironaka is currently in full time private practice in Honolulu, Hawaii. Mike has over 35 years’ experience as a Crown & Bridge and Dental Ceramics Technician. Mike owned a small Dental Lab in Orange County for many years incorporating all phases of fixed prosthesis. In the year 2000 Mike left the bench to become a Technical Consultant and Instructor, specializing in Dental Implant and CAD/CAM Dentistry. Mike is currently a technical Instructor for VITA North America. Dr. McLaren is a Prosthodontist and ceramist, he has written over 25 articles on his technique and research related topics. 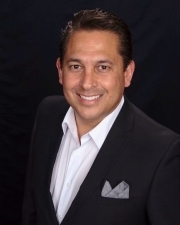 He is currently the director of the UCLA Center for Esthetic Dentistry and provides a full time residency in esthetic dentistry and also mini residencies for practicing dentists. He is also Director of Post Graduate Esthetics and UCLA/LACC Master Ceramist Programs., which provides full time and mini residency programs for lab technicians. William R. Mrazek B.S., C.D.T. William R. Mrazek, B.S., C.D.T. is the owner of Mrazek Prosthodontics, Ltd., a small high-end laboratory in Naperville, Illinois. He holds a Bachelor of Science degree in Biology from the University of Illinois, and Associate of Science degree in Dental Technology. 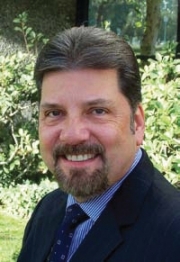 In addition to his 30 years of experience in the dental technology profession, he is a regular contributor to LMT, and is on the editorial boards of PPAD and Collaborative Techniques. Bill is a recipient of the Award of Excellence from the Foundation for Excellence in Dental Laboratory Technology, and his laboratory has been recognized as one of the top 20 dental laboratories in the United States by United Dental Resources. 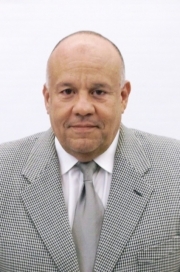 Felix graduated from the University of Kentucky in 1976 with an Associate of Arts Degree in Applied Science. He immediately opened his own lab in southern Florida, specializing in cosmetic dentistry. Felix has studied with some of the premiere technicians in the world, such as Claude Sieber, Willi Geller, and Mokoto Yamamoto. Over the past 30 years, Felix has acquired an international reputation as a superior instructor and lecturer. He currently owns Felix Pages Dental Studio in Miami, Florida and specializes in high quality all-ceramic and metal-ceramic restorations. Kris has over 30 years of practical experience in Dental technology. In 1983 he graduated from Dental Technology Program in the city of Gdansk, Poland, where he grew up. He has worked in dental laboratories in Poland, Greece and Canada, where he received his registration in 1995. Since 2000 he has owned and operated Select Dental Laboratory Inc. where he specializes in CAD/CAM fabricated metal free crown and bridge prosthetics. Dr. Pope was the team dentist for the Saint Mary’s Gaels for almost 10 years until 2013 and was involved with the 2013 America’s Cup in San Francisco as the team dentist for Artemis Racing from Sweden. He is also a Porsche certified high performance driving instructor. 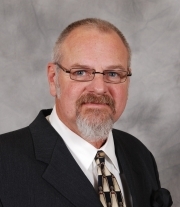 Dennis Purinton, CDT has been a dental technician for more than 36 years. He owns his own lab in eastern Kansas, and has concentrated on Implantology and dentures for the past 20 years. As a consultant for the Vident Corporation, he is actively involved in research and development for implant and denture related products and has trained at VITA in Germany. Dennis teaches courses across the country, lectures both nationally and internationally. He holds a Mastership with the American Academy of Implant Prosthodontics. 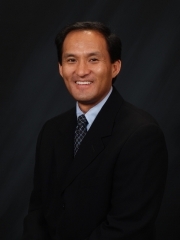 Dennis Urban, CDT is currently the Director of Removable Technology at Jason J. Kim Dental Aesthetics. By focusing on long-term patient satisfaction while not compromising on materials or price, they grew 35% last year. He has lectured and trained dentists and technicians worldwide since 1985 and is a published author. Dr. Daniel Vasquez is a cosmetic and general dentist in North County San Diego/ Oceanside Dentist California, he offers a variety of dental services to mention, one-day visit CEREC crowns, one-day visit porcelain veneers, same day smile makeover, Waterlase dentistry, Sedation dentistry, TMJ/TMD pain management, Oral surgery, Root Canals, Periodontal Therapy, Dental Implants and Orthodontic treatments. In addition to his doctorate degree in dentistry, he completed special training in oral surgery, endodontics, Dental Implants, Orthodontics, Conscious Sedation, and Cosmetic Dentistry at the prestigious Las Vegas Institute. Dr. Vasquez has been in private practice since September 1999. As a Professional Management Consultant – Dental Prosthetics and Treatment Services, Marc Wagenseil is a Licensed Denturist and Dental Technician. Mr. Wagenseil has 31 years of experience in the dental industry and lives by the motto: The usual doctor treats the disease. The good doctor treats ailments. The rare doctor treats the person. 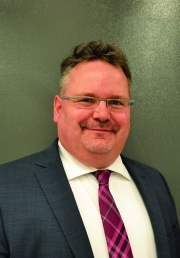 As the owner of Heritage Denture Centre and Heritage Dental Lab in Edmonton, Alberta, Canada, he has spent his career focusing on how dentures integrate in the mouth and body and inspires a unique awareness of occlusion and professional growth. Mr. Wagenseil now provides professional services to VITA North America related to improving technical, marketing and education activities. Bobby Williams is a graduate of the Kois Center and attended the University of Oklahoma and followed his undergraduate studies with a dental laboratory technical school in Dallas, TX. He has over twenty years of experience as a lab technician and owner. He has owned and operated, for the last fifteen years, a very active, high-quality, all-ceramic laboratory, Synergy Ceramics, that specializes in cosmetic restorations from single tooth to full-mouth reconstruction. 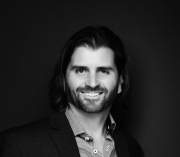 Bobby is also a founder of Techsource Dental, an Authorized Lava Milling Center and Atlantis Custom Abutment specialist, for the last thirteen years. He is a senior member of Claude Sieber’s “Art & Experience”.